It is important to determine the difference between the pain associated with sensitive teeth and other problems such as decay, gum disease or Cracked Tooth Syndrome. 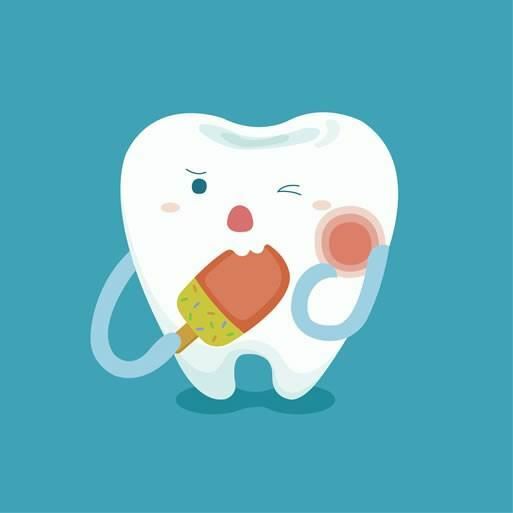 What happens when a tooth is sensitive? Enamel, the hard, outer layer of the tooth, can sometimes be lost which exposes the soft, inner layer of the tooth, known as dentine. If dentine is exposed, in the presence of a stimulus such as a cold drink, the fluid inside small tubes in the dentine flows toward the dental pulp (nerve) and the pressure causes a sudden pain. The pain quickly disappears and does not cause any permanent damage to the tooth. However, this pain can be very unpleasant and have an impact on daily life. Desensitising toothpastes work by either blocking the small tubes in the dentine or interrupt the nerve response within the tooth that causes pain. They usually contain strontium chloride, potassium chloride, arginine or calcium carbonate to help with this. As different toothpastes contain different desensitising agents (for example, Sensodyne contains a different formula to Colgate Prosensitive), some people may find one toothpaste works better for them. Studies suggest it takes around 4-6 weeks to gain complete relief from the sensitivity. It is important to continue using desensitising toothpastes once symptoms have disappeared to prevent sensitivity returning. In some cases, desensitising toothpastes alone may not relieve pain. Your dentist or hygienist may recommend an application of a stronger desensitising product. For some patients who have severe damage to their teeth caused by erosion, more extensive treatment may be required such as sealing the exposed dentine with a filling. To find out more, have a chat with us at your next appointment.